Most companies turn to outside consultants, focus groups and media relations firms to try to understand their market. Apple creates products like a monarchy, with all big decisions flowing down from Emperor Steve. Here is a quote from Steve Jobs saying that Apple doesn’t do market research from a post arguing why no one innovates like Apple. Mr. Jobs elaborates the Apple design design philosophy from Fortune. Jonathan Ive, Apple product design VP, explains how Apple’s primary goal is not to make money, but to make great products that people will love. Apple has a very clear vision: Make the very best products that people will love to use, business will follow. If Henry Ford had hired outside consultants they would’ve advised him to build faster horses!! @Jim definitely true, great analogy. Search engine skips the duplicate content site copying Apple.com and disregards them. No one can copy this CEO. Nice blog post about the Apple cash machine and Steve Jobs the overlord. I observed that Apple spends more money on design than any other firm, including Google. Steve Jobs is good for shareholders. Gives thanks for this to the mighty Steve Jobs – long live the ianything. Excellent performance review, of apple marketing and product development. Great apple product webpage, hold up the new ipad. Intriguing web page. My co-workers and I have been just discussing this phenomenon of apple design the other evening. Make an impression on! Thank you! I always required to create in my website something like that. Can I take element of your post to my web site? Excellent commentary on the apple product research process. I wish they had an internet affiliate program. I’d like to make up a playlist from an additional site then, place it on my myspace page. Would I get my account deleted? 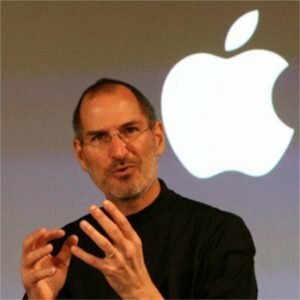 I hate apple and hate steve jobs, what’s the big deal? I agree, Steve Jobs is the oracle of marketing and has a 6th sense about product success. Good article about Apple Computer not needing to analyze other tech companies marketing plans. Thank you very much for that dazzling insight into the CEO of Apple in this article about the king of design.